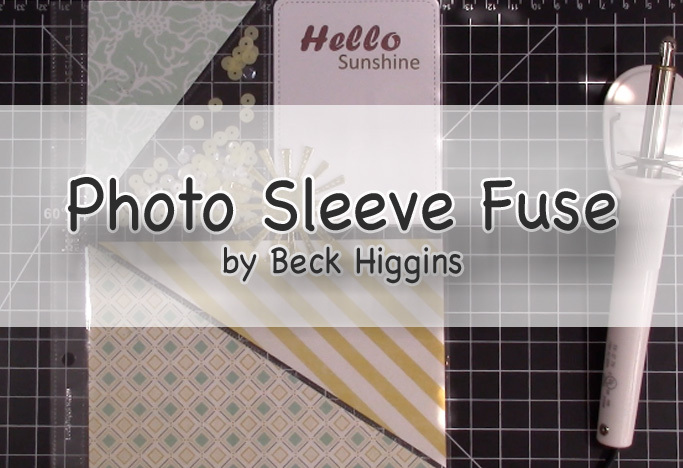 Today's video shows how to use the Photo Sleeve Fuse tool by Becky Higgins. The Photo Sleeve Fuse tool is available by Beck Higgins and We R' Memory Keepers. They are the same tool just different colors. I will tell you that little stand is a pain in the behind, it really is the only thing I do not like about it. I have tested out the cutting blade and that baby works like a charm to. 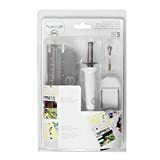 I haven't used mine yet but I watched some videos prior to purchasing it one of them said you could change out the tips while hot if you use tweezers. Again, I haven't tried it but you mentioned letting it cool down..